Baltimore, Maryland, finally got its first bikeshare program about a month ago — Baltimore Bike Share. Ridership levels are already pretty good (~6,000 rides). That perhaps has something to do with the fact that around 40% of the bikeshare fleet is made up of electric bikes, rather than the whole fleet being “simply” pedal-powered bikes. That’s sure to attract some of those who otherwise wouldn’t be interested in a bikeshare program — owing to the general ease of use, travel over hills, long distances, etc. The system — which is being run by Bewegen Technologies via a partnership with the City of Baltimore — reportedly cost $2.36 million to set up. It’s composed of 22 stations and 175 bikes. 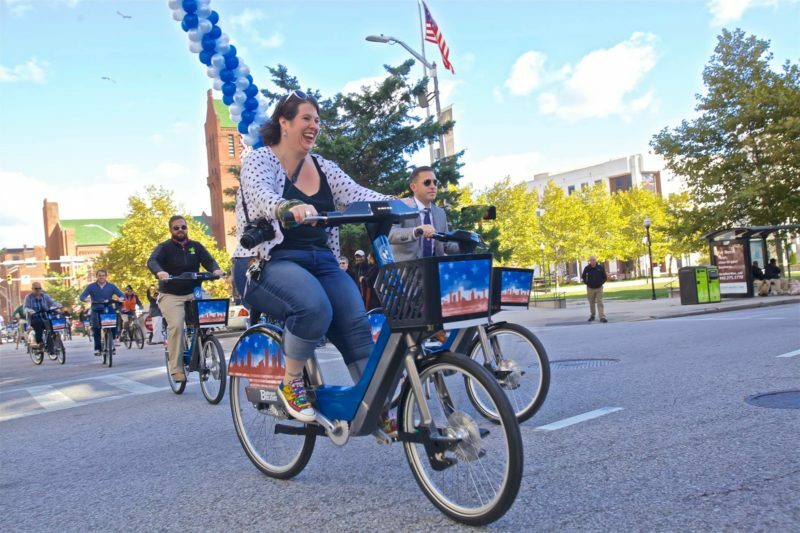 Notably, Baltimore Bike Share is set to be expanded in the Spring, with 50 new stations to be added and 500 new bikes. So, it’ll be a substantial expansion that should see use levels grow rapidly. It’ll be interesting to see what portion of the ridership uses the electric bikes as compared to the non-electric ones in this program.